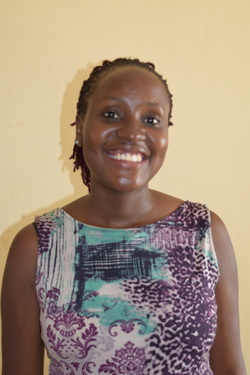 Florence Dongo is the founder and Director of God Cares Schools. While she continues to be very involved in the Buyamba Ministry, she currently also acts as the interim pastor and church administrator director of Kabalagala Pentecostal Church and runs the newly found NGO, Africa Forward Christian Ministries. Mother of five biological children and countless adopted children, Florence Dongo can also be found at the schools interacting with students or in the office as she helps guide the Dongo family team. The eldest child of the Dongo family, and a recent graduate of Hillsong College in Sydney, Australia, Thanks has returned home to Uganda to work alongside the family at God Cares School. Thanks’ passion for music has inspired him to work with the high school students, training them for musical performances. He also brings his passion and skills with music to the youth at Kabalagala Pentecostal Church as the Creative Arts Director. Thanks is also focusing on developing the Dongo Farm in order that it might produce crops that will supplement the students’ diet both at the primary and high school. If you ever visit Uganda, Ezra is likely the person who will greet you. Ezra exercises his gift of service by leading the teams visiting Uganda and ensuring they have everything they need. Ezra works alongside the social worker at God Cares as well as managing the social media for God Cares School Facebook page. He is a great mentor to the primary students as he lives with them and loves on them. Ezra can also be found helping run the construction projects and getting things done in every part of the ministry for he carries out the vision in the daily workings of the ministry. Now a mother of three, Worship Dongo has had a heart for orphaned and needy children since she was a child. She is the administrator of Buyamba Orphan Outreach in Uganda and lead for God Cares Schools as well as the Chief Financial Advisor. Worship manages the sponsorship program and ensures that the US office stays up to date with the information on each child in the sponsorship program. Young at heart, you can always find Worship playing with either of her two sons, cuddling with her daughter, or singing in the choir at church. 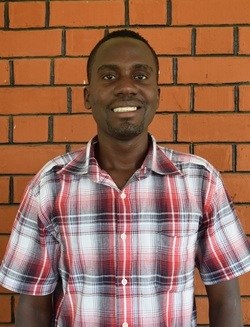 Husband to Worship Dongo, Peter is the project manager for all construction projects managed by God Cares Schools. He also helps with purchasing gifts for students when donations are made. Currently, Peter is focusing on construction for the high school Assembly Hall and the Jinja, God Cares East project. A loving father and hard worker, Peter is dedicated to growing God Cares School and Buyamba Ministries. A man destined to become a Pastor, He is currently studying in Texas at Southwestern Baptist. 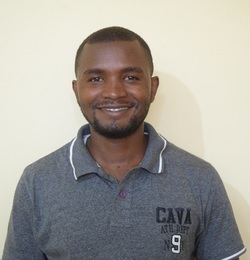 Once he is finished with school he will return to Uganda to serve as the Chaplain at God Cares High School and the Youth Pastor and Associate Pastor at Kabalagala Pentecostal Church. Glory has a passion to share God’s love and to disciple and encourage the youth to reach their potential in what the Lord has planned for each of them. Glory and Catherine love spending time with their daughter Isabella. Newly married to Glory Dongo, Cathy shares his passion for discipleship and healing of the students. She holds a degree in counseling and psychology and has implemented a counseling program at God Cares Primary school and High School. Her heart is to provide the students with problem solving skills, to develop a positive attitude in life and improve their emotional well being.